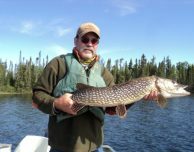 It is no wonder that Northern Pike are such a sought after game fish. 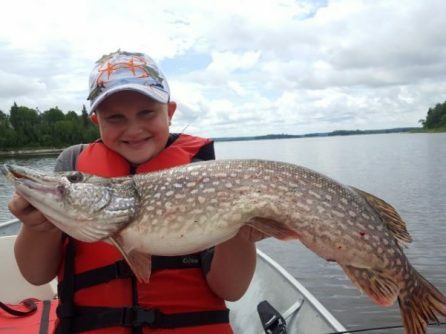 Northern Pike fishing is both challenging and exciting. 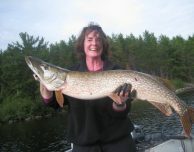 Here at Nestor Falls Fly-In Outposts, Trophy Northern are common in our lakes. 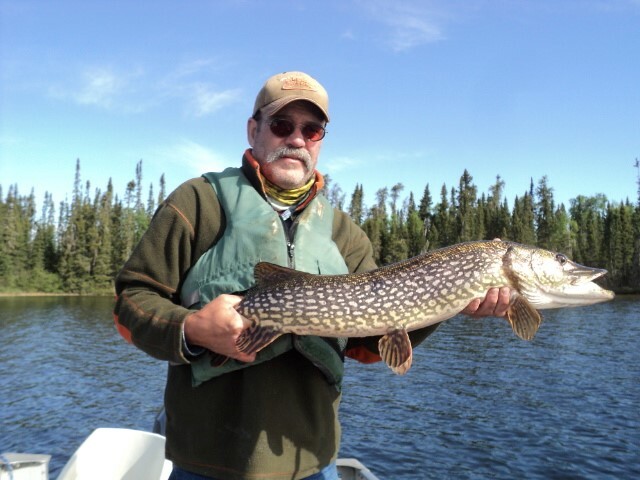 Stories of large trophy Northern Pike are fact. 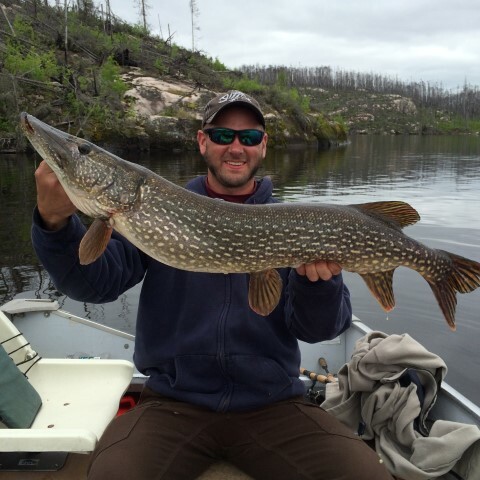 Every season our anglers land giant Northern Pike in the 40″- 48″ range. 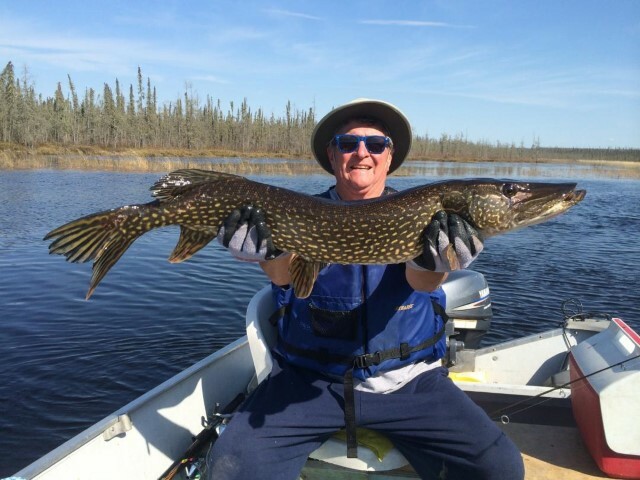 Our largest Trophy Northern Pike released was a 53″. 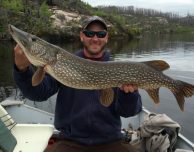 This is the Canadian fly in fishing trip that you’ve been dreaming about. As we fly you in to your own exclusive lake you can stay in one of our deluxe outpost cabins, which are extremely well maintained and comfortable. 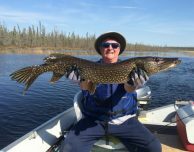 Back in 1987 Nestor Falls Fly-In Outposts realized that it is easy to hurt the Northern Pike fishery and that is why we implemented a catch and release policy not to over stress the fishery. 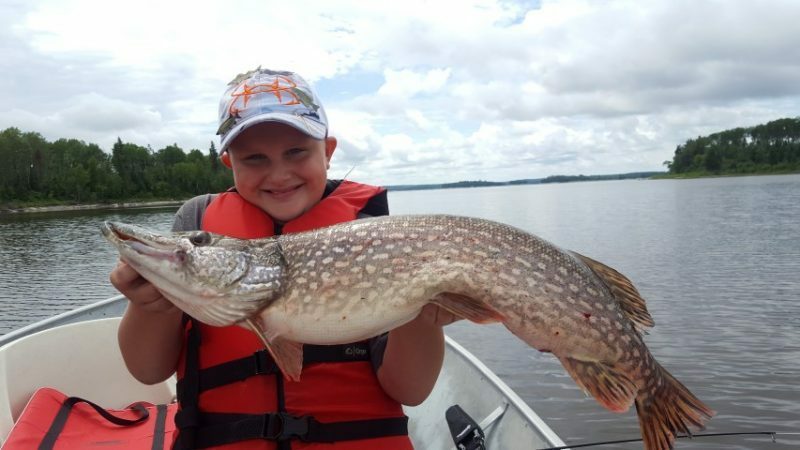 That visionary policy has served our operation well throughout the years as we continue to enjoy world-class fishing and have seen a significant change in the number of fish released along with the average size of the fish keeps going up. During peak season from mid-May to the end of season mid-September you will be using rapalas, spoons, spinner baits, and “jerk baits”. You will find these monster pike in the cabbage which will provide excellent cover. Concentrations of fish are in shallow bays, underwater reefs and deep points. Casting and trolling big crank baits is an effective means of getting these awesome predators on the line.